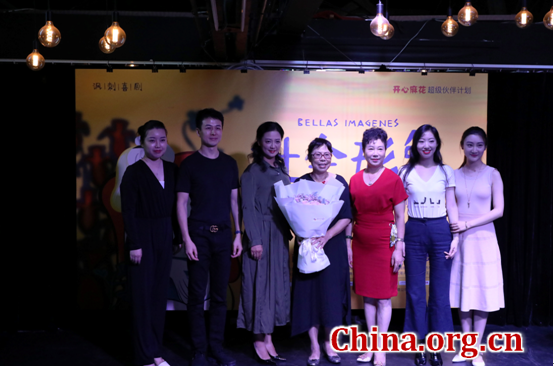 From November 16 to 18, the A33 Theater of Mahua FunAge, a famous Beijing-based comedy company, will adapt the classic Mexican drama "Social Image" ("Bellas Images Sociales"), for the Chinese audience. Being enticed, cheated and betrayed by a young man, a single woman's seemingly intact nature and ethical values become subsumed by lust, desire and temptation, which she never expected could emerge as a hideous side of her life in such a striking and enduring way. Pablo Salinas, the widely-acclaimed Mexican playwright, made a deep exploration of human nature in this drama that was staged in his country in the late-20th Century with great success. The A33 Theater of Mahua FunAge are staging the production following their first adaptation early this year. According to Yang Mingjiang, who translated the play, the drama builds a bridge between the people of China and Latin America through the commonalities of human nature. The drama stars Zhao Ling as the male protagonist and Su Li as the woman, both of them veteran Chinese performers. Besides, Wang Ruohui, a singer who once appeared in Jacky Cheung's musical "Snow Wolf Lake", has a supporting role as the female protagonist at a young age, with her image and personality being revealed by songs. Su said: "It's all about the woman's joyfulness, anger and distress, about her wounded heart and her dented confidence in life. It's about a performance of life and death that has been so concentrated in just one-and-a-half hours on stage. "To me, it is a great indulgence while playing the character on stage. It is a truly splendid role, which not all performers could have the opportunity to play," she added. Zhao, who also serves as the director of the drama, said, he had read the play numerous times and each time he reads new findings emerged regarding the clues and implications concealed between lines of the script. "We are making relentless efforts to bring the drama to audience," he said.